These photographs are from off-trail hikes in the Eldorado Nature Preserve. 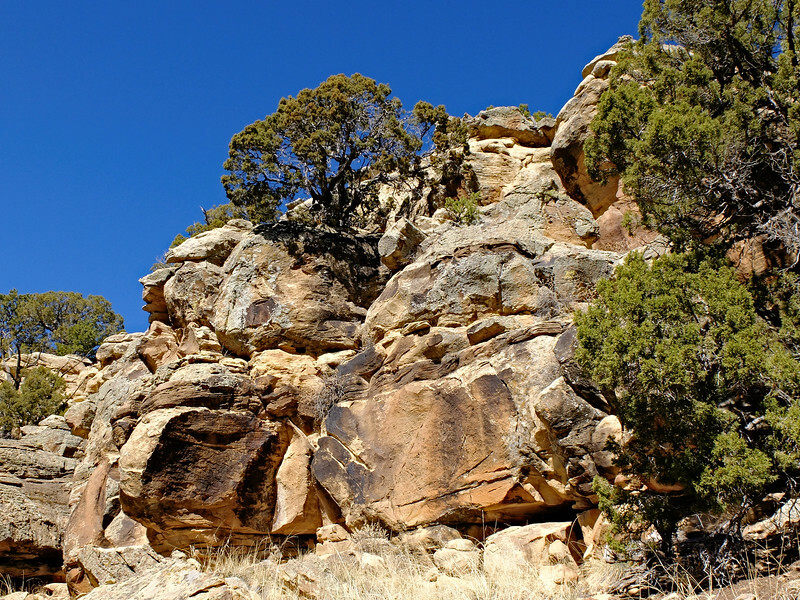 There are many wonderful rock formations, large boulders, lichens, and gnarled trees. Footing is fairly treacherous in many parts, with steep drops in case we get careless, and avoiding lots of cacti. Near the end we have to scramble up and over rock slides, almost on all fours, or ascend a rock chimney, to get to the top of the mesa. But the views are extraordinary! These photographs are organized consecutively, mostly in the order taken, on each adventure.